"A majestic, highly complex, gorgeously orchestrated album, one that has lengthy staying power and fantastic listen-ability. 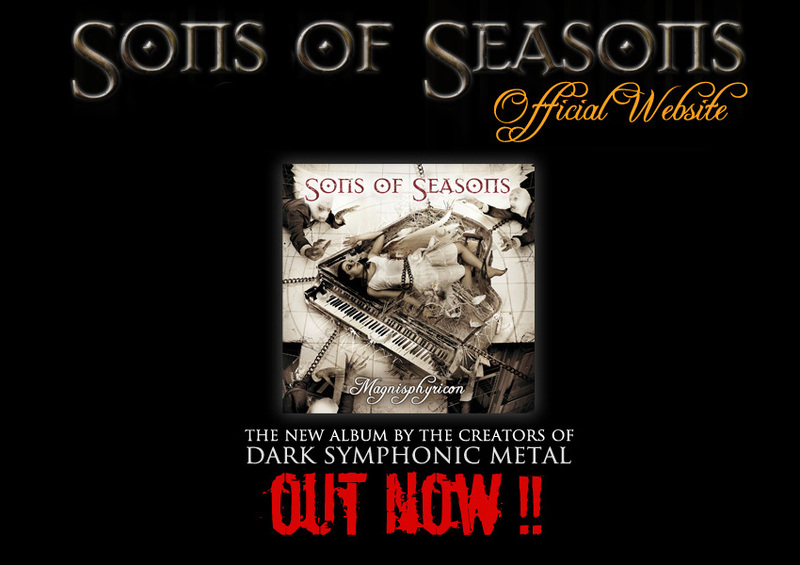 "Magnisphyricon is an album with enormous potential and will surprise all skeptics among you, together with those who love Symphonic Metal"
"Who doesn't know Sons Of Seasons so far, should use the chance to get to know the band. But be careful: It is highly addictive!" "There might be some healthy crazyness in Oliver's mind, without that it would be hard to dream an album like this to life. What seperates Sons of Seasons from the many similar bands is that they are able to step over the boundaries of the genre. (...) Highly recommended material!" "With Sons Of Seasons Henning Basse (...) establishes himself in the European singer top league. (...) The high- class composed material presents fantastic melodies and an enormous variety of moods. The keys are fat and opulent. (...) Sons Of Seasons have fat balls!"